I’ve decided to do a second part to my Arkansas Run for the Fallen post. It seems like there is just so much more to say. This week has been hectic for all of those involved and the coming week it will only get crazier. The thing is; once it starts, it all becomes worth it. At the beginning, there will only be family sporadically at the mile markers. Some are unable to make it, some feel that it’s too emotional. I completely understand that, not everyone handles a loss in the same way and their way of grieving is not necessarily the same way as others. Still those were always the saddest miles to me. That is until I realized that just because the family isn’t there, that hero is still being honored, people he never met are giving of their time and effort to remember the sacrifice that was made. As we progress close to Little Rock, more and more families and friend start to appear. Things start to get a little bigger. It starts to become a celebration of what makes this country so great, people who have willingly paid the greatest sacrifice to defend America. Not that it has a carnival atmosphere, but I start to see more smiles. Smiles from the families as the realize that strangers are there to honor their loved ones. Even as an eighteen year old kid, we understood what the consequences could be. We were willing to make that commitment, so we utter those words. Soon after, we got on planes or buses and headed into an unknown world, for some it was the first time away from home. Deep down, we knew that after basic training and some sort of technical training school we could come home for a little while. The scary part was when you hear for the first time that you will be deployed to an unfriendly area. You and your family have that fear deep down, but most of the time it’s not spoken of, It’s just understood silently. For a few that fear becomes a reality. As an American, we cannot forget that. We have all seen the videos of a soldier coming home, maybe surprising a family member, but we should never forget that some families don’t get that. Instead they get a knock on their door in the middle of the night, they get a folded flag and a thank you from a grateful nation. 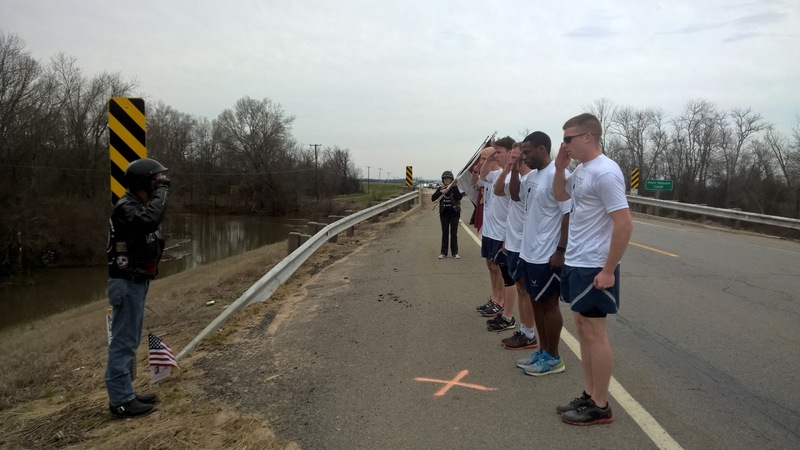 That is what the Arkansas Run for the Fallen is about, showing them that we truly are grateful. Not just until taps has played and 21 guns have fired, but eternally. Each name that we read, each mile we run represents a family that will forever be incomplete and for that I am truly grateful. One of the organizations that I work closely with is the Arkansas Run for the Fallen. 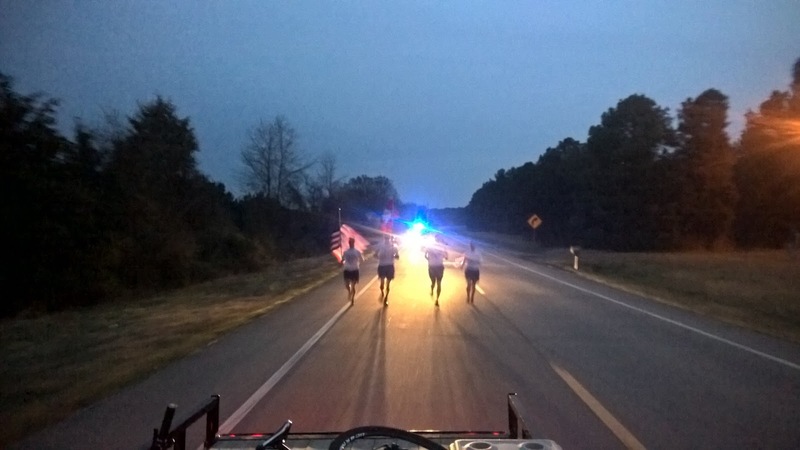 We have teams of active duty runners relay across the state, running one mile for each Arkansan killed while serving our country since September 11, 2001. At the end of each mile the runners stop and read a brief biography of the fallen hero, placing a small flag and biography card in the ground. They then salute and continue on to the next one. 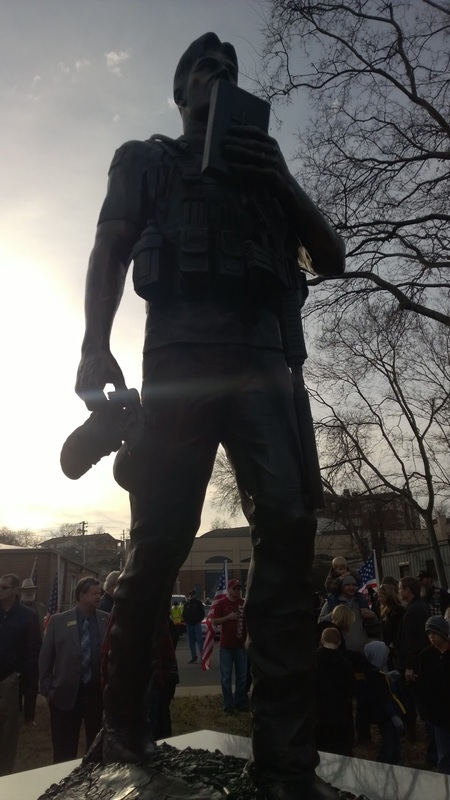 As you can imagine, this is a massive undertaking, we honor 143 men and women. The logistics and manpower required is nothing compared to the sacrifice these heroes and their families have made. The most amazing part to me is the strength and resolve the families show. I cannot imagine having men in uniform knocking on my door to say “We regret to inform you…”. Yet these mothers, wives, brothers and sisters have taken that moment of horror and turned it around. Instead of letting that moment define who they are, they let it drive them to become better people by using it to honor their loved one. I’ve known people who have let a major loss in their life define their existence, everything suddenly revolves around that loss. Their life becomes a story of woe and despair due to it. Pity becomes a way of living to them. On the opposite end of the spectrum are these Gold Star families. It seems their loss, while painful, is turned into a positive. The military offers Bronze and Silver stars for gallantry, but I never understood why there was no Gold star offered. That is until I learned what a Gold Star family is and got to know several of them. Their bravery in the face of loss is one of the greatest acts of courage I have seen. For instance there is the family of 1st Lieutenant Tom Martin, who was killed in action on October 14, 2007 in Iraq started the Tom Martin Foundation to offer scholarships to a deserving student at Tom’s high school, help Tom’s former Boy Scout troop, and encourage race day volunteering. 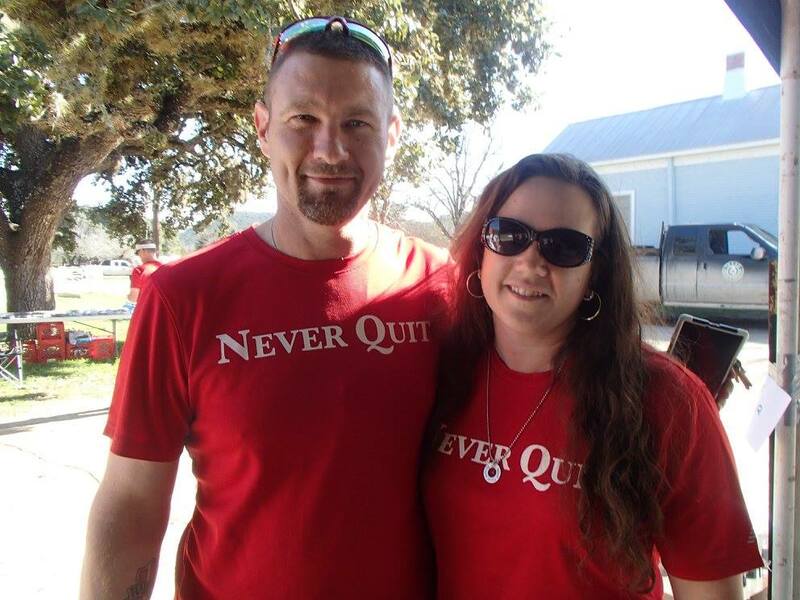 They sell t-shirts in his honor that say “Never Quit” on the front and “Keeping TIME” on the back. TIME standing for Tom In Mind Everywhere. They encourage people to take a picture of themselves doing amazing things while wearing the shirts and share the pictures through the website. Then there is the family of Navy SOC Adam Brown. Adam was, at one point in his life, a drug addict in the county jail. His family tried desperately help him turn his life around, but you can’t force someone to do this. Eventually he did turn things around. He managed to get into the Navy in spite of his past. Not only did he get into the Navy, he made it into the SEALs, eventually working his way up to SEAL Team Six. Of course he did not advertise the drug addictions of his past to the other SEAL team members. He did, however, request that his story be told if something happen to him. On March 17, 2010 something did happen to him, he was killed in an operation in Afghanistan. His family has made sure that his life story has been used to inspire others, his story can be read in the book “Fearless” by Eric Blehm. While these are the two most prolific heroes we honor, they all are special. Their families all feel a great loss. As you read through the names, it’s easy to forget that these are more than just names, they are the titles of stories. We may feel that these stories were cut short, or maybe destiny had ordained them to a greater mission either way, we cannot forget these men and women.